Whether you’re busy at home, stuck in work or suffering from tyre problems on the road, Preston Tyre Specialists can offer a convenient mobile tyre fitting service to take the stress and strain out of the entire process. If you’re based in Preston, Lancashire, our experts will come to you armed with their vast experience and necessary equipment, meaning you can go about your normal daily routine while we fit and balance your tyres - all you need to do is check in with us at the beginning and the end. We offer a swift tyre-changing service whether you’ve ground to a halt in morning rush-hour or you’ve broken down late at night. Over the years we’ve seen numerous instances of people trying to drive on impaired, deflated and even burst tyres which isn’t just dangerous but also often causes damage to the vehicle itself. The old adage of ‘less haste, more speed’ rings true; relax and have your tyre(s) expertly replace and you can soon be on your way safe and sound.  Ultimately, our mobile service is designed to reduce hassle while also saving you money; there’s no need to cut work hours short, pay for child care, or fork out on fuel to get across town to a fitter – we can come to the location of your choice within the Preston area and provide high quality tyres from all leading manufacturers. 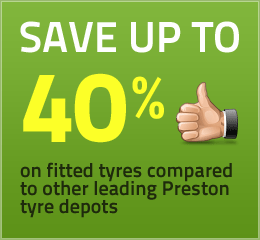 For more information, or to arrange a mobile tyre fitting call-out at your convenience, contact Preston Tyre Specialists.